Are you looking for piano lesson books to help you develop your piano playing skills? Well there are a number of resourceful websites on line with a variety of piano books for piano players from the beginner to advance level. But how do you know which books to use? This page is created to make some recommendations on websites and books that you will be interested in especially if you are learning to play the piano. Below are some websites that sell books of different formats and sizes at a low cost. These websites have piano books for children and adults. 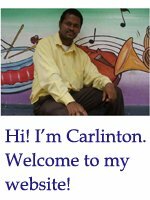 The first website that you can visit for a wide variety of piano lesson books is amazon.com. Amazon.com is an online store with a wide variety of items such as electronics, apparel and computers. However, it is known for its great collection of books. When you visit amazon.com, just choose the book category and search for piano books. You will be directed to several pages with lots piano books. Amazon.com has been on the internet since 1995 and is one of the safest online stores to shop on. Another website with a lot of books for piano players is music44.com. This website also has a wide variety of books. You will find piano method books that were published from as far back as the mid 1900s and books with some of your favourite contemporary songs from the 2000s. Alfred.com is another great website with a number of piano books published by Alfred Music Publishing Ltd. This company is one of the world’s largest educational music publishers and sells books under their own name brand. The prices for books at this website are very reasonable and I am sure that you will see many interesting items there. Click here to visit alfred.com! Some great series of piano lesson books are located on the websites listed above. Some of my favourite books are those written by John Thompson. I have been using them for years with my students and I have seen great results. However, if you want a wide variety of books with music from different genres then you should check out those published by the Alfred Music Publishing Ltd. It is good for a piano player to have several books in their collection, especially books with music from different genres. I am sure that you will find some interesting materials on the websites listed on this page. However, it is good to search online for yourself. I am sure will find other great books written by some great authors. More on books! Visit the beginner piano books page.